We talk about product led growth (PLG) a lot at OpenView, and there’s a reason for that. Many of today’s fastest-growing SaaS companies have PLG to thank for their exceptional success. Expensify, Calendly, Slack and Dropbox are just a few of the SaaS superstars that have made product usage the primary driver of user acquisition, retention and expansion. By adopting a PLG strategy, these companies have been able to use their own products to create a steady pipeline of satisfied users and hand raisers, which they can then convert into paying customers. In addition to being highly effective, PLG also reduces overhead costs by eliminating the need to spend so much on traditional marketing and sales activities. It really is the proverbial win-win. 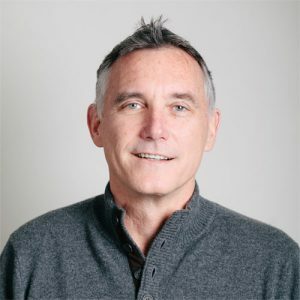 Our philosophy when we launched OpenView in 2006 was simple: do one thing and do it extremely well, and our “one thing” has been helping expansion-stage SaaS companies succeed at a critical juncture in their growth. As Founder and Partner, I’ve worked with a lot of these companies first-hand, and know when a product led strategy is a viable approach to growth. 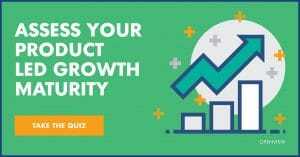 It’s widely understood that product led growth is a go-to-market strategy that is fueled by user interaction with the product and is designed to drive rapid expansion as a company scales. But there are really two lenses you need to consider when looking at PLG for your company. Each customer has many different interactions with a software company. They interact with the product, marketing, sales and customer success teams. There may also be financial and professional services interactions, depending on the type of customer and the company’s offerings. The key question to ask in the context of all these points of contact is how often can you set it up so that the interactions take place within the product in an experience that provides the customer with a quick response, an easy way to interact and the ability to take action. Scaling up a software company typically requires massive support from sales, marketing and customer success resources. This quickly becomes a costly effort given that these teams need to grow proportionally to the customer base. For a company considering a PLG approach, the question is about how the product can take on more of this work by automating many of the sales, marketing and customer success interactions. While the customer lens shows how PLG can create a strong customer experience, the company lens shows how it can help you scale your staff at a slower rate than your user base. While there isn’t a standardized model for adopting PLG, based on my experience there are two primary paths a company can follow. On one hand, a company can use traditional sales and marketing to engage customers in close, quality, high-bandwidth interactions. After using these communication points to gain deep insight about customer needs, buying process and interaction preferences, the company can then automate as many of those existing interactions as possible. The opposite approach is to avoid sales and marketing as much as possible right from the start, focusing instead on building a better product that can do the heavy lifting on its own. The second path is typically more difficult because it requires a lot of discipline. When you’re trying to scale, it’s always easier to add sales resources. However, if you’re willing to do the up front work of getting your product to a place where it can take the lead, you can reap long-term benefits. One question I’m asked a lot is whether PLG will work for every company. The answer is, it depends. The best way to think about this is to consider that SaaS products exist along a continuum. On one end are complex products (usually designed for enterprise) with a complex buying process. On the other end are more accessible products that are mostly designed for small business, departmental or team use. In general, companies on the complex end of the continuum will tend to require a more traditional approach to growth, while companies on the other end will be more suited to a PLG approach. Different companies use different growth strategies, which reflect various growth models that have evolved over time. In the beginning, most companies relied heavily on field sales, with or without marketing support. As product price points came down and products became somewhat easier to sell, inside sales and telephone-based sales became more viable. Many companies were happy to transition to these strategies because they are often more efficient and generally easier to scale. At this point marketing became more involved as a lead generator for sales, and it wasn’t long before marketing started taking a more dominant role as content marketing and inbound marketing gained traction. Ultimately, we reached the PLG model. All of these pieces — field sales, marketing, inside sales, content marketing, etc. — should be considered when a company is building out their growth strategy. There is no one right answer or one-size-fits-all solution. Instead, the right plan strikes a balance between the various ingredients. It is my view, however, that the product should do as much as possible no matter what. This requires maintaining a sharp focus on your core product and a commitment to constantly reassessing how it can best serve your customers. This kind of single-mindedness is difficult to sustain across an entire company. Different people will have different motivations and goals, and not all of those will align with the PLG mission. Sales and marketing, for instance, tend to want to grow their own team and resources, which may not support a PLG strategy. The companies that do best with PLG are usually the ones that have a product person as CEO. Those are the teams that will have the discipline to bake as much as possible into the product. What does it cost you to acquire a dollar in gross profit? What happens to that dollar over time? Obviously, the lower the cost to acquire a dollar, the better. But it’s just as important to understand that the more that dollar is growing every year, the better. While there are plenty of other numbers to look at, all other metrics support these two. You might look at details about the nature of product/customer interactions, but ultimately what you want to know is whether the customer is continuing to interact with your product, and also whether the customer is bringing additional users into the fold. The most important thing when it comes to measuring progress and success is to focus on what you’re trying to achieve and then instrument the tactics that you are executing against to see if it’s working well and, ultimately, if it is affecting the economic metrics that matter. Early in my career — before VCs were blogging about how to analyze SaaS companies — I invested in a company called ExactTarget. It would have been easy to end up thinking I had to measure a lot of things, but what it all boiled down to was figuring out really simply what we were trying to achieve that would either bring down our costs to sale, address a larger market or deliver more value for the customer. You keep it simple and then make sure every department is aligned around the one or two metrics that really matter. That’s what makes the difference. Looking ahead, I believe PLG will continue to be an important strategy for SaaS companies. We’re going to see more and more companies making everything happen through the product interface, a shift that will benefit both customers and companies. While there are some market limitations on which products can do that, we’re already seeing that trend in a lot of areas. And, as more companies realize how much more their product can do for them, we’re going to start seeing them seriously investigate how the product can create value not just for the buyer, but also for the company. These investigations will, in turn, inspire a new wave of experimentation and innovation that will produce lots of really great bits and pieces of product that other companies will copy. Things are going to get very interesting over the next ten to twenty years.